PLEASE NOTE : Bunny and Jackrabbit programs are both full. To begin, choose Ski Membership 2018-2019 from the Membership and Rates drop down menu (above). Next keep scrolling down until you reach the part that says “I the participant….. agreement” and check it off. Check off the desired category (Match the child’s age to the instruction level and check off equipment rental if needed). In addition, Zone 4 charges a processing fee on the total amount. For the Bunny Rabbit Program, we ask that someone accompany the child. Please note, the companion does NOT have to be a member. 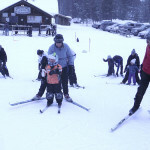 Why involve your child in a cross-country skiing youth program? Your child will meet new friends. You do not have to worry – the programs are well designed and have been running for numerous years. The youth program is very affordable. 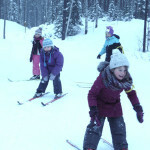 What better for your child than playing and skiing outside with friends? 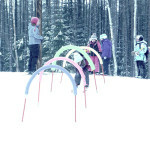 Our Youth Programs follow the Programs developed by Cross-Country Canada. CCC has developed a modern, state-of-the-art progression of skill development programs for children. 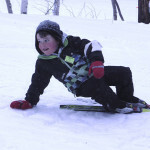 This exciting program conforms to the Canadian LTAD model and provides a vertically integrated continuum of development opportunities for children in the first stages of skier development. 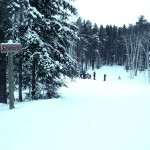 The Youth Programs sessions are offered on Saturday afternoons usually starting the second week of January. Please note: Anyone who wishes to rent equipment for a Youth Program (and who has not made previous arrangements) must be at the chalet by 12:30pm on Saturday January 12th. Equipment reservations will be done on a first come, first served basis.